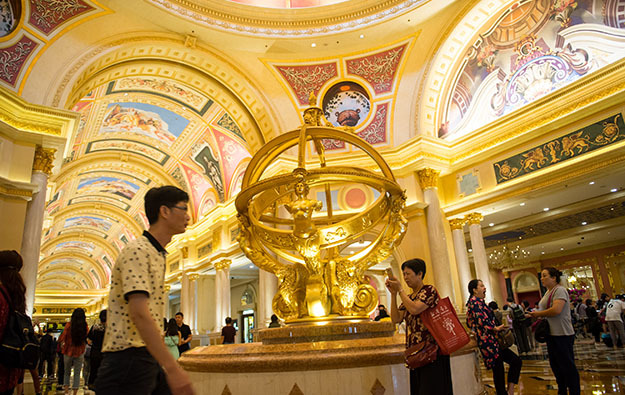 Emergency workers and other Macau government staff are poised to join a simulation drill in the early hours of Friday at the Venetian Macao casino resort (pictured), a property operated by Sands China Ltd. The government says the drill is designed to test the ability of police, public-sector departments and the local casino operator involved, to coordinate and handle a response to major incidents. Several government departments are to participate in the drill, including the Judiciary Police, the Public Security Police Force, the Customs Service and the Fire Services Bureau. The exercise is to be coordinated by the Unitary Police Service and the Gaming Inspection and Coordination Bureau – Macau’s gaming regulator which is also known by the acronym DICJ. A Unitary Police Service press release confirmed that the exercise, code-named “Wolf Hunting 2019”, would take place at the Venetian Macao. The property is near to the main Macau barracks of the Chinese military, the People’s Liberation Army. The exercise aims to simulate an assault on the property by armed individuals. It will include scenarios imaging injuries, bomb threats, and people being held hostage, said the Unitary Police Service release. It will be the second major attack drill held for the Macau casino sector in fewer than 18 months. In January 2018, a similar exercise was conducted at Galaxy Macau, a casino resort owned and operated by Galaxy Entertainment Group Ltd. The venue is across the road from the Venetian Macao. Macau’s Secretary for Security, Wong Sio Chak, had mentioned following the initial drill, that a number of such exercises would subsequently be held in the city. In June last year, Macau’s casino regulator told GGRAsia it had no plans to conduct further simulation drills “in the coming months”. The government had signalled in October 2017 plans for such a system of drills. At the time, it referred to a “gunman attack and arson” that took place in a “neighbouring country” – understood to be a reference to a 2017 lone-gunman attack on Resorts World Manila – and also to the shootings on the Las Vegas Strip in the United States in October that year. The events claimed in aggregate more than 94 lives, and in the short term caused some damage to the image of those local casino industries, industry commentators said.